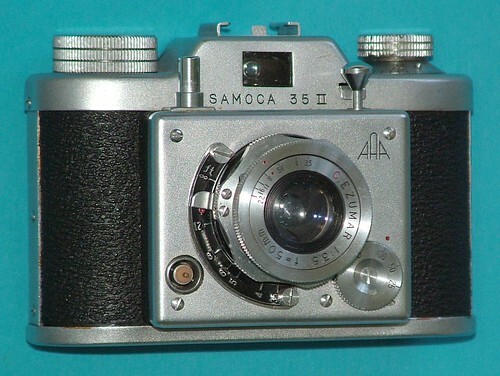 The Samoca 35 II is a viewfinder camera for 35mm film, made in Japan by Sanei Sangyō K.K. (三栄産業㈱). Shutter: 'Vario type' shutter with speeds 1/25 to 1/100 sec and B.
Viewfinder: optical eye-level type viewfinder. NOTE. You can find a Model I / II mix with Flash shoe but II not engraved on the front plate. This page was last edited on 31 October 2018, at 05:23.